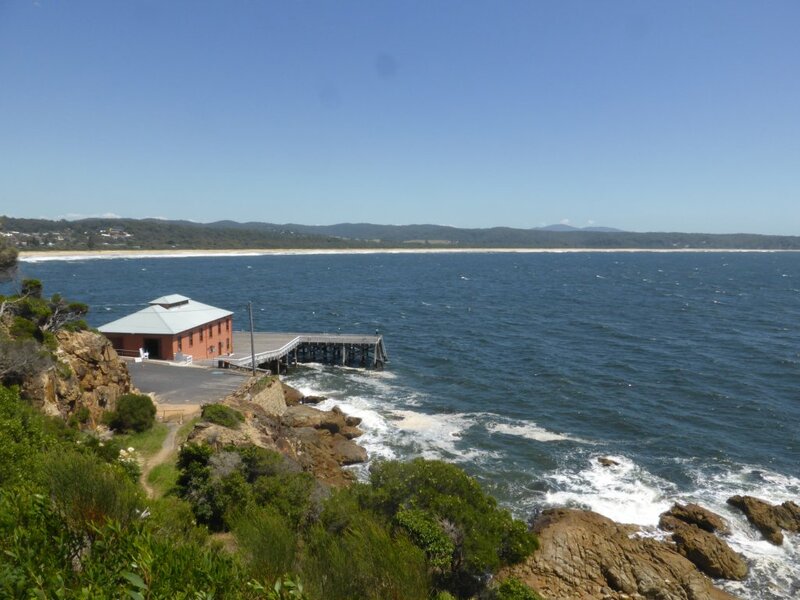 North of the Vic/NSW border, Eden is the first town found on the coastline. It’s a pretty place, living up to comments we’d heard about it. 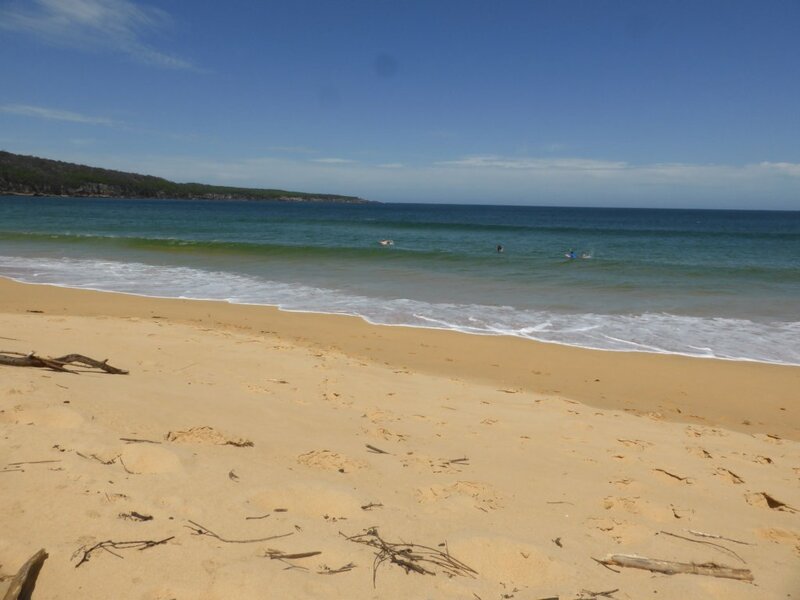 We had a nice relaxing Sunday in Eden; lunch at the lookout and the arvo at the surf beach. 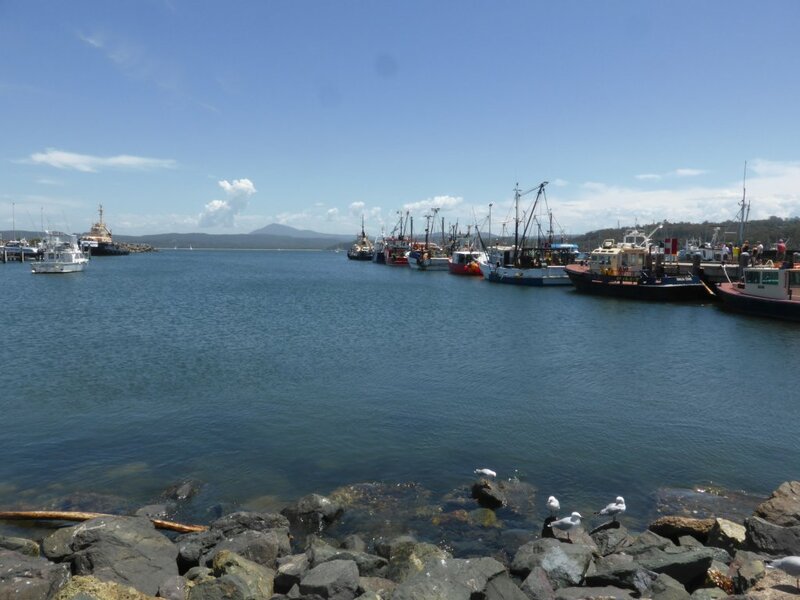 We didn’t bother with the Eden Whale Museum, having been to the Historic Whaling Station in Albany WA which was quite in-depth and thorough. surf beach. Nicole was trying to photograph the pod of dolphins that swum by us whilst the boys and I were in the water. looking into the lagoon. Yep, got a bit of a storm that evening! Monday we were on the road to check out the towns further north. 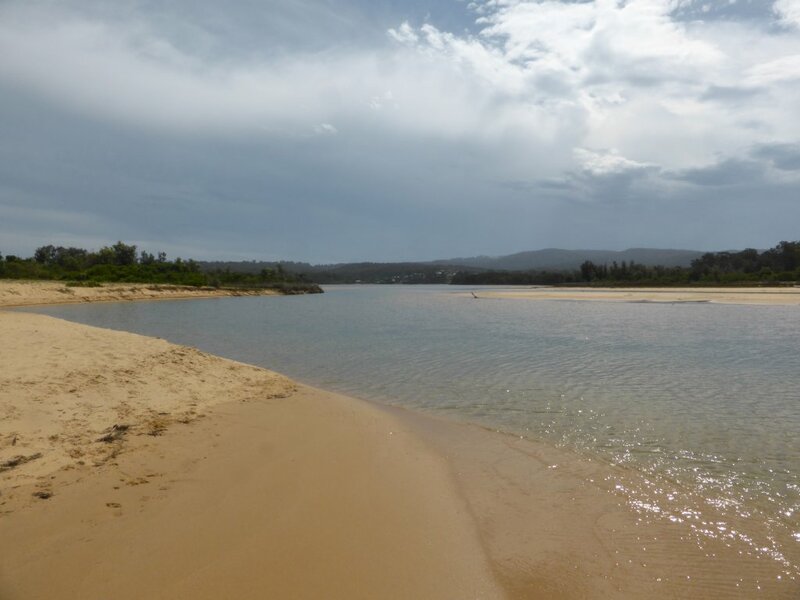 The terrain around here seems the same as further north in NSW, and some of SE QLD for that matter! Hilly, quite green grass, and the same style of trees/forests I’m used to seeing. The beaches seem pretty similar style too! 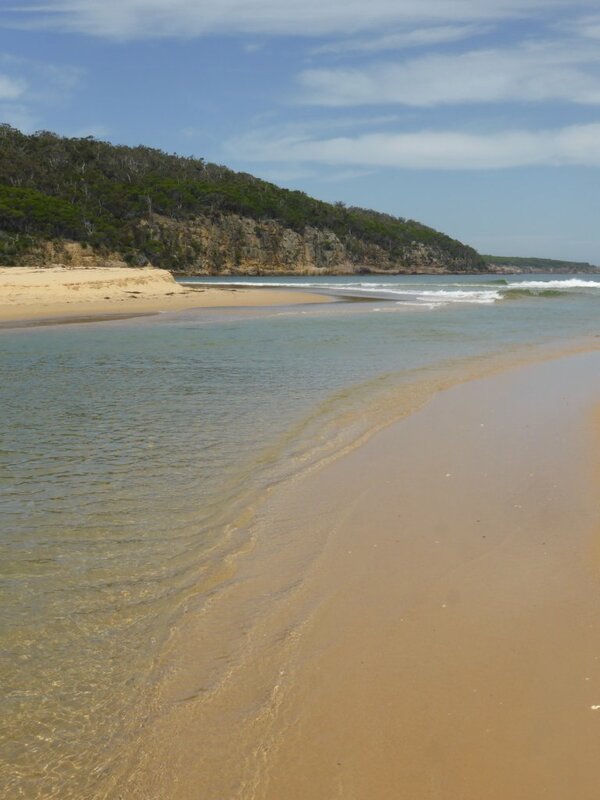 Here is Pambula Beach. 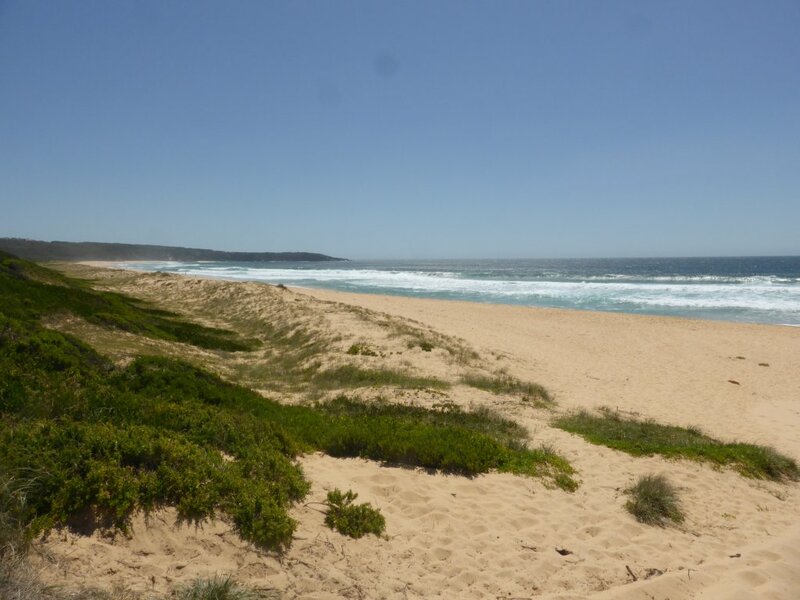 A bit further north is Tura beach. A lot of houses on the hillside coming down to the beach – looking out over the ocean. 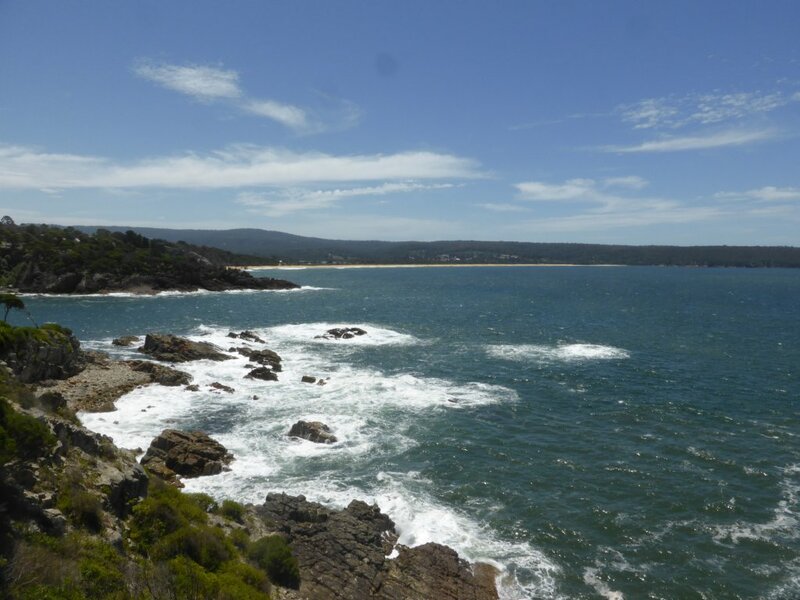 We continued up Sapphire Coast Drive to Tathra. 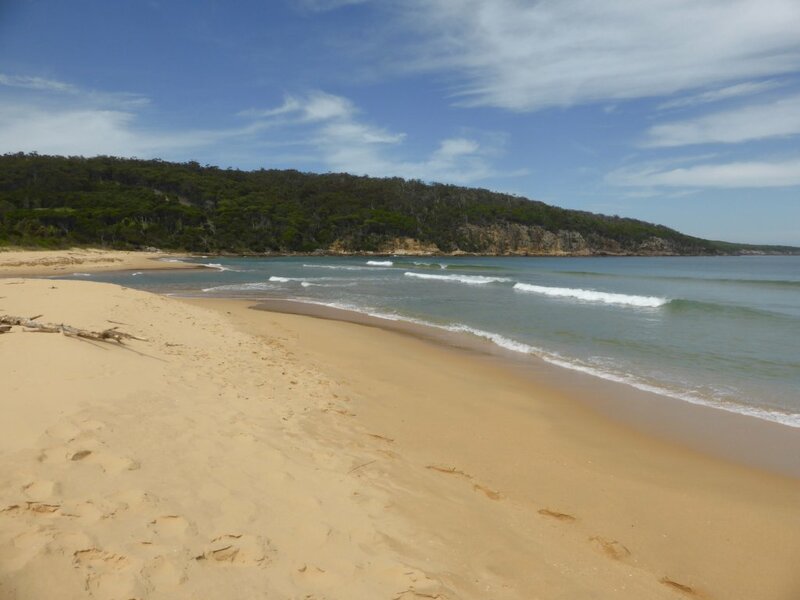 A pretty headland with nice views out over the beach, and the cliff faces further along. 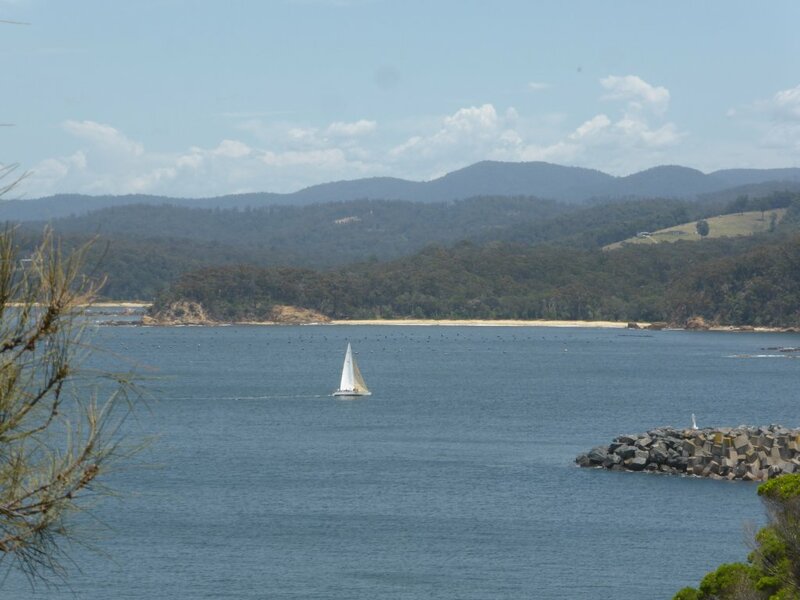 Then it was into the town of Bega, whose name probably rings a bell thanks to the Bega Cheese Factory! We did visit the cheese factory, and sampled some cheese, but they don’t do a large range of gourmet cheeses or anything – they seem to just focus on the supermarket stuff (half of it is that ‘plastic’ pre-sliced cheese…). Lovely green countryside, with a mixture of cattle, sheep and some cultivation (no pics – getting slack with the camera), but the town is nothing exciting. 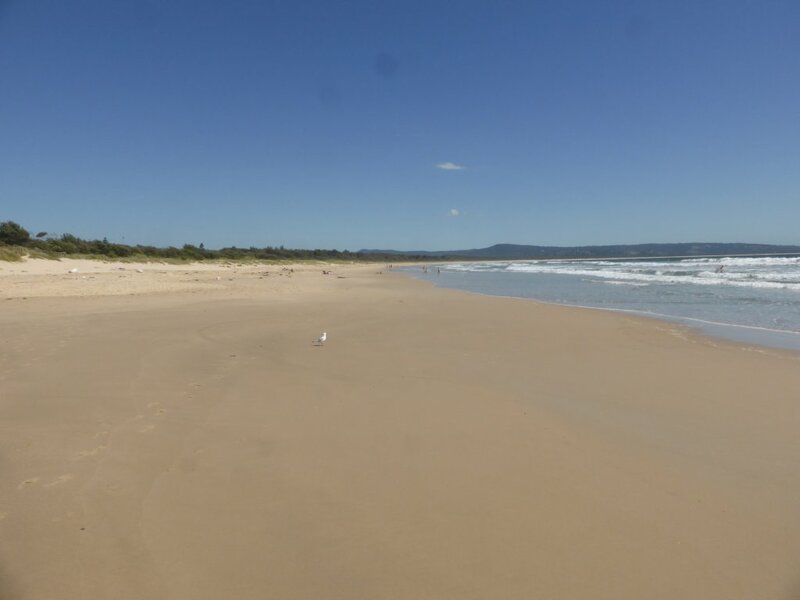 From Bega we looped back down to Mt Darragh Road, which heads inland up through the scenic South East Forests National Park. 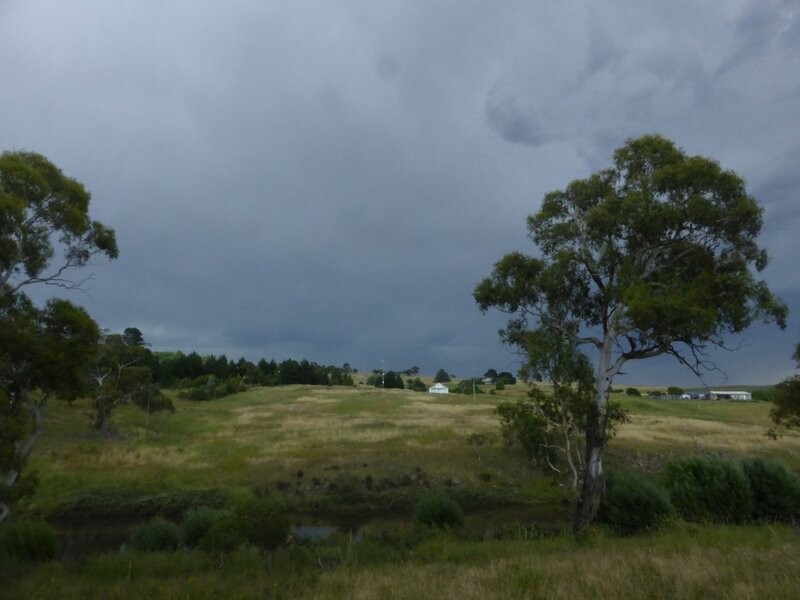 A lovely scenic drive, quite tight and twisty in places, that took us to Bombala, which I think is on the edge of what is considered the NSW Alpine area. Nicole and I went for a run around the pretty Lake in Bombala, before settling down for the night just a little north of the town. We copped a bit of a storm that night, with some rain, lightning and thunder! Tuesday we were off driving west along the Snowy River Way, but this is alpine country, not the Sapphire Coast, so you’ll have to wait for the next post! 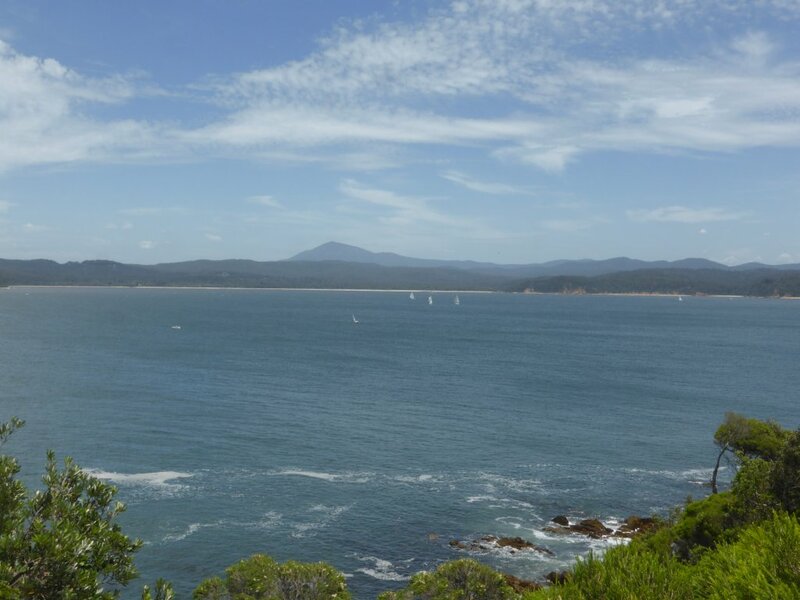 So it was just a quick visit to the bottom end of the sapphire coast region. It was never in the plan to spend much time exploring NSW (because of its close proximity to home compared to the other states). Aside from a detour to Mt Kosciuszko, and a stop in Canberra, we’re now in ‘see what we can as we drive home’ type mode! This entry was posted in People, Places by Simon. Bookmark the permalink. The pic titled, “storm headed our way”, how appropriate to sum up your fantastic trip. 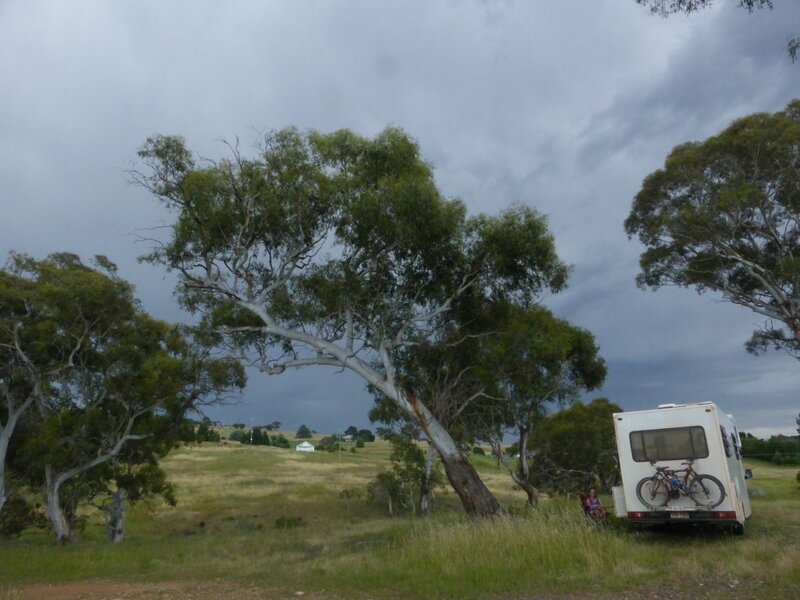 Your RV (that’s what we call your unit) in the picture with absolutely beautiful Australian landscape everywhere! Your pics have been over the top! Great job, do you really have to go home? I think I know the answer to that question! Merry Christmas to you and all your extended families! Thanks Hayes. Yes, we have to go home…. It has been a great amazing trip, but I’m also not upset and are happy enough to head home and go back to family, friends, work etc (though I might feel like deleting this comment during my first week, or month, back at work!). I’m sure there will be other trips/holidays down the track. Merry Christmas to you and Carolyn too! I am sad that your trip is ending too: I have loved following the posts since I started “travelling” with you half way thru WA! And I really liked the hill country of Victoria. I think I will try to visit Micheal & Ken there when I come home in the spring (Canadian spring!) & do a little trip around Vic, before heading up Nth. Oh my goodness, we forgot that Michael lives in Melbourne! Don’t know why, as it isn’t as though he’s moved recently. I wasn’t aware that Ken is in Melbourne. If either of you read this, we would have visited had we recalled/known you lived there. Sorry! That’d be autumn here Margaret, and it is a beautiful time to look around. Not sure that our Alps will seem like much after living in Canada though! 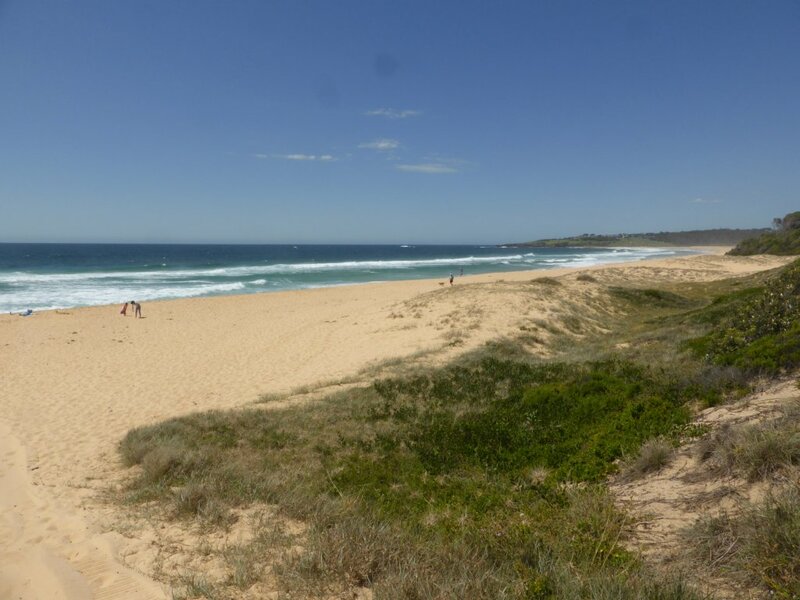 AroundAus Summary: The best places in Australia are ….